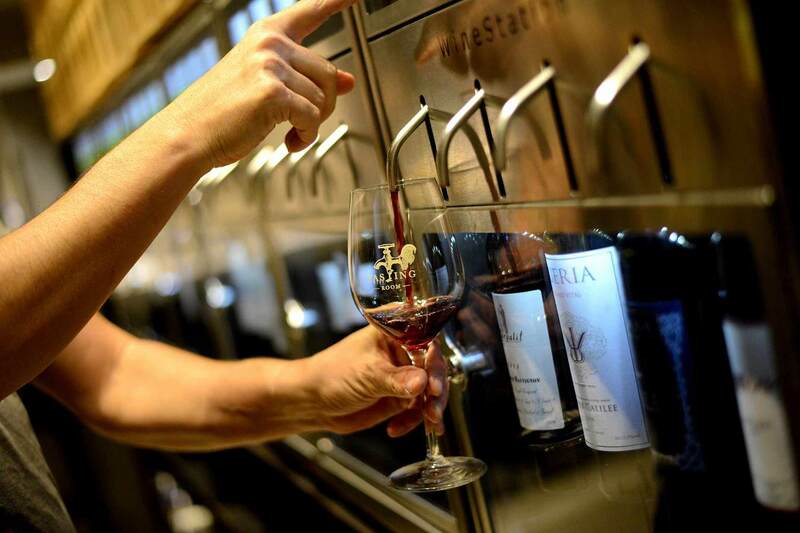 Yesterday I had the pleasure of taking part of a wine tasting event in the Tasting Room, a bar and wine store located in the historic Sarona Complex in Tel Aviv. The bar has a very special concept that totally stole my heart; a pouring system with self dispensers where you can try at least 40 different wines from Israel and abroad. I found out about the event through TLV1 radio which offered a discount for those who bought tickets for the event through them, due to the event being held as part of their new wine show, hosted by “The Israeli Wine Guy”, David Rhodes. The words “bottom-less drinking” and “cheese buffet” caught my eye when I read about the offer, so my first and obvious thought was of course, this sounds like my kind of thing! So I ordered tickets for myself and my boyfriend right away. I must admit, that allthough (or maybe because) I am a citizen of Tel Aviv, I have still not been to the Sarona Complex since they finished renovating it (shame on me! ), so yesterday became the grand premiere. Turns out it is a really sweet area with lots of bars, restaurants, cafés, and shops. We found our way to the Tasting Room and went down the stairs to the bar which is located in the basement of the building; a dark and cozy place with wine bottles from floor to ceiling and wooden tables, offering just the right atmosphere for some wine tasting. In the entrance we were given smart cards, which we were instructed to use in the dispensers to pour ourselves wine to taste. So we grabbed a glass and started working ourselves through the wines one after the other. During the whole evening, David Rhodes were there and offered explana tions about the many different wines. There was also a small buffet with a really nice selection of cheese, some sausages, and bread and butter. It was a very pleasant evening indeed. We spent it moving around in the bar, trying all the wines there were to try (and there were plenty! ), eating cheese, mingling, and looking at wine bottles. The real beauty of the place is that not only can you taste and drink the wine there, but once you find your favorite you can buy a few bottles and bring with you back home. 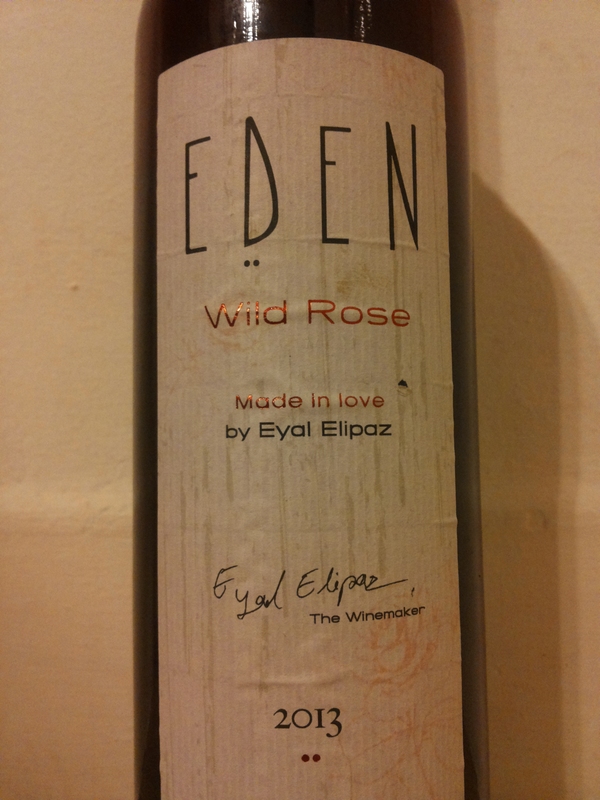 Personally, I ended up with a beautiful bottle of Israeli rosé in my bag, Eden Wild Rose, which ended up being one of my many favorites. By the end of the evening I had lost count of my wine tastings long ago, so I believe I will need to make a second visit to the Tasting Room at some point to refresh my memory. ← Let’s “Dance For Peace”!